Northern-grade RFG is required in Chicago area counties including Cook, Du Page, Grundy (Aux Sable and Goose Lake Townships only), Kane, Kendall (Oswego Township only), Lake, McHenry, and Will, and East St. Louis area counties of Jersey, Madison, Monroe and St. Clair. Conventional gasoline is sold in remaining counties in the state. Counties not in RFG program areas require 9.0 psi RVP gasoline June 1-September 15. Madison, Monroe and St. Clair counties use 7.2 psi RVP gasoline from June 1-September 15. These three counties plus Jersey County opted into the RFG program in 2007. Illinois’ most recent State Implementation Plan removed the 7.2 psi RVP requirement from those areas, but EPA has not approved the SIP as of the date of this publication. All gasoline-powered vehicles purchased with state funds must be flex fuel vehicles (FFVs) or fuel-efficient hybrid electric vehicles (HEVs). FFVs are defined as automobiles or light trucks that operate on either gasoline or 85% ethanol (E85) fuel. Fuel-efficient HEVs are defined as automobiles or light trucks that use a gasoline or diesel engine and an electric motor to provide power and that gain at least a 20% increase in combined U.S. Environmental Protection Agency city-highway fuel economy over the equivalent or most-similar conventionally-powered model. Furthermore, any vehicle purchased with state funds that is fueled with diesel fuel must be certified by the manufacturer to run on 5% biodiesel (B5) fuel. 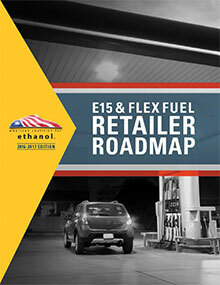 15% of all vehicles purchased with state funds must be fueled by electricity, natural gas, or liquefied petroleum gas (propane), with the exception of Department of Corrections, Department of State Police patrol, and Secretary of State vehicles (except mid-sized sedans).